Which king of England built Westminster Abbey? In the early 970s, Saint Dunstan, installed a community of Benedictine monks at Thorn Ey, an island in the centre of the River Thames. Around 1045–1050, King Edward the Confessor built a stone church on the site, as part of his palace there. He spent a great deal of effort and money on the project, but barely saw it completed. Westminster Abbey was consecrated on 28 December 1065. Edward the Confessor died on 5th January 1066. His funeral was the first service to be held in the new abbey, follwed on the next day by the coronation of his successor, King Harold II. There are numerous books about Westminster Abbey, dealing with its history, architecture, treasures, daily life and royal connections. Here are a couple that I like the look of. 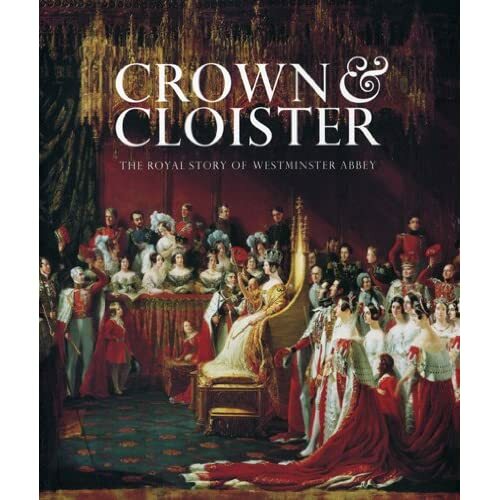 As the title implies, Crown and Cloister: The Royal Story of Westminster Abbey focusses on Westminster Abbey's royal connections. Fifteen kings and fourteen queens are buried in Westminster Abbey, which is also the nation's coronation church; every coronation since that of William the Conqueror has taken place in the Abbey. The Historical Guide to Westminster Abbey: Kingdom Power and Glory on the other hand, looks at the history of this great church, telling its story through the words of kings, nobles, priests and chroniclers, bringing to life not only the big events but also the day-to-day existence of the Abbey and its people, from monastic times to the present day.